Link Up Features and the Appliances Online Winner! Good morning everyone! I loved all of the link ups last week. Thank you to Appliances Online and their Fridge Freezers! Congrats Mallory! I'll be getting in touch with you! Mallory linked up these scrumptious muffins. You can check them out at Purplest Pecalin. Yes...I DID spell that right. These chocolate ice cream bowl from Talented Terrace Girls are brilliant and so easy to make! Check out this duct tape covered Bunco table from Cookie and Claire. 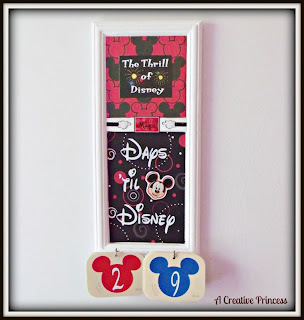 This DIY lantern lamp from Red Headed Mommy is adorable! I may have to make my own. This countdown to Disney calendar by A Creative Princess is a genius way to use Disney paint chips. I'm in love with this stunning prom corsage from Confessions of a Holiday Junkie. Somewhere In The Middle teaches us how to get the scratches out of DVDs and CDs. This is going to save me SO much money! Creating My Way to Success has a genius car organizer tutorial for all you sew savvy mamas out there! 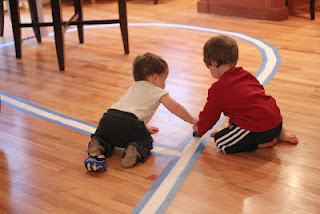 How brilliant is this sentence strip race track from Repeat Crafter Me? I have 3 little ones who would flip over this. Congrats to all of you who were featured! Make sure you grab a brag button so everyone knows that you are a big deal! Thank you for the feature--I really appreciate it! Oh my goodness! Thanks so much for showing my muffins and for the gift card!! Thanks so much for featuring my car organiser tutorial! !